Country checks are always a must-have when it comes to country home accents, and these five items from our catalog offer the perfect look for your country home. This made in the USA Bench Cushion and Valance create a classic look together in an entryway, foyer, reading nook or even a bedroom. Layer the valance with lace curtains for even more charm, and place the cushion on your favorite bench. Complement with seasonal pillows and decor throughout the year while maintaining a country feel. 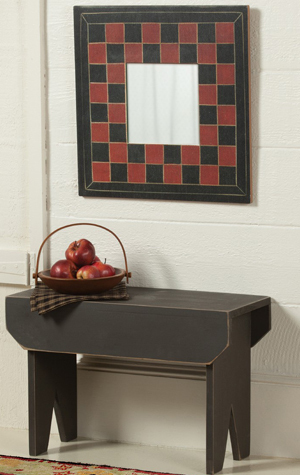 Also a great addition to a hallway, mudroom or entry is this Red and Black Check Mirror. 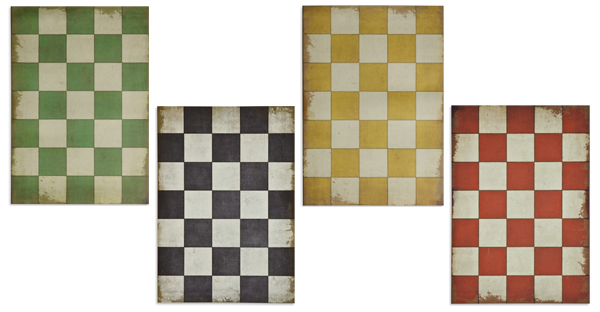 A rustic home accent that adds a bit of color to your walls, the checks create a timeless look in your home. 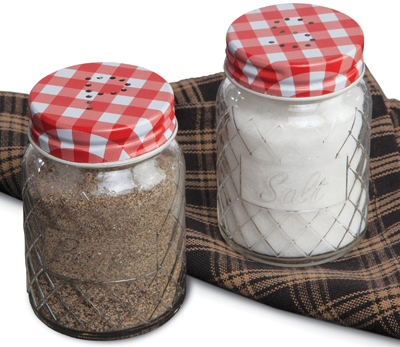 Whether your kitchen is inspired by French country or farmhouse design, the red gingham check on these salt and pepper shakers will fit right in with your decor. Featuring a chicken wire design on glass, decorative salt and pepper shakers make a charming addition to your country table. Country checks also make a charming statement on your floors. Our Vintage Vinyl Checkered Floorcloths are decorated in large rustic checks, which are distressed to offer that vintage look complementary of your country home furnishings. Place on a kitchen floor, in the laundry room or in a mudroom for decorative and non-slip qualities. 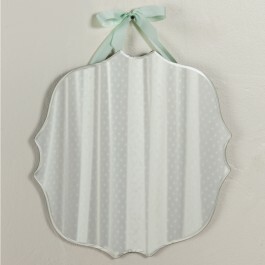 Mirror, mirror on the wall, let’s make your home the fairest of them all. 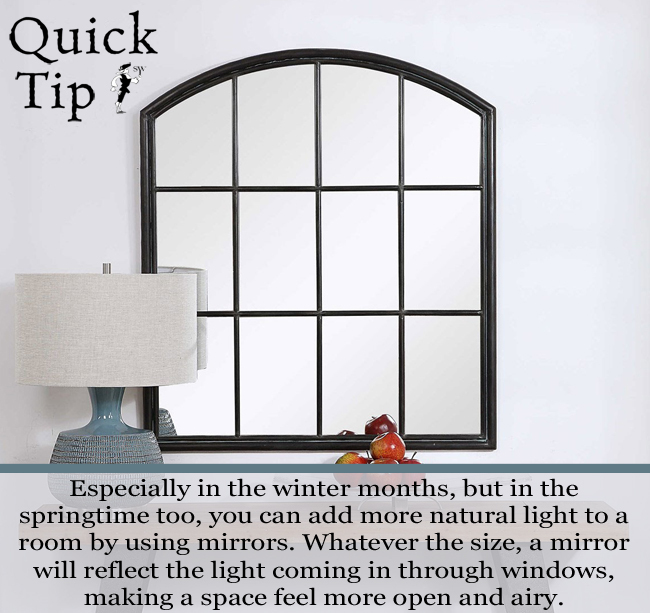 Mirrors make rooms look larger, offer a way to bring light into dark corners, and let you glance at your hair on the way out the door. Let’s take a look at our top reasons why you should have mirrors in every room of your home. Offer the sensation that any room is larger and deeper than it actually is. When used effectively, mirrors can create the illusion that a room has actually doubled in size. 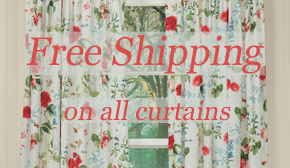 This is particularly helpful for dining and living spaces that feel cramped. Create a point of interest by reflecting the twinkling light of a chandelier. Add dimension to a bedroom by leaning a large mirror against a wall at an angle. 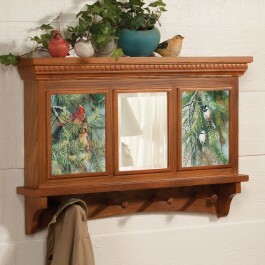 This helps you check your looks before you leave the house, and creates an interesting view in an otherwise blank space. If your home desk is facing a boring blank wall and the view to your gorgeous garden is behind you, place a mirror in front of your desk so that you can look at your garden even when facing the wall. Hang several mirrors together just as you would picture frames to create a stylish display. Be sure to keep the mirror size proportionate to the wall space, just as you would with framed artwork. Use a tilting mirror on your dresser or nightstand to help you get ready in the morning. Decorative options are particularly useful for keeping your bedroom looking as stylish as ever. 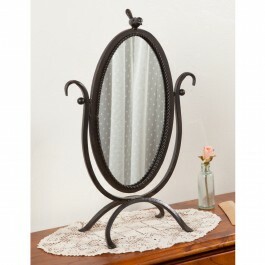 Choose a mirror that you love and it will be easy to keep your room’s decorating theme in sync. 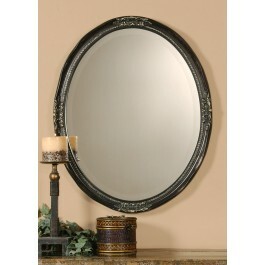 Home decorator’s say the same : mirrors work wonders in entryways and dining rooms! Bring light into a dark dining area, especially helpful during large gatherings. Entryway mirrors make it easy to make a final check on your way out the door. Keep any room looking cohesive with the help of a stunning and stylish mirror on your wall. Use candles, creative lighting or decorative accents in front of the mirror to reflect your style. Try using a mirror to reflect light up a staircase, targeted at a houseplant that is currently in the dark. Tilt a mirror just so to view your favorite artwork from the kitchen. Choose your own frame to place a custom mirror in, selected to suit your own style.